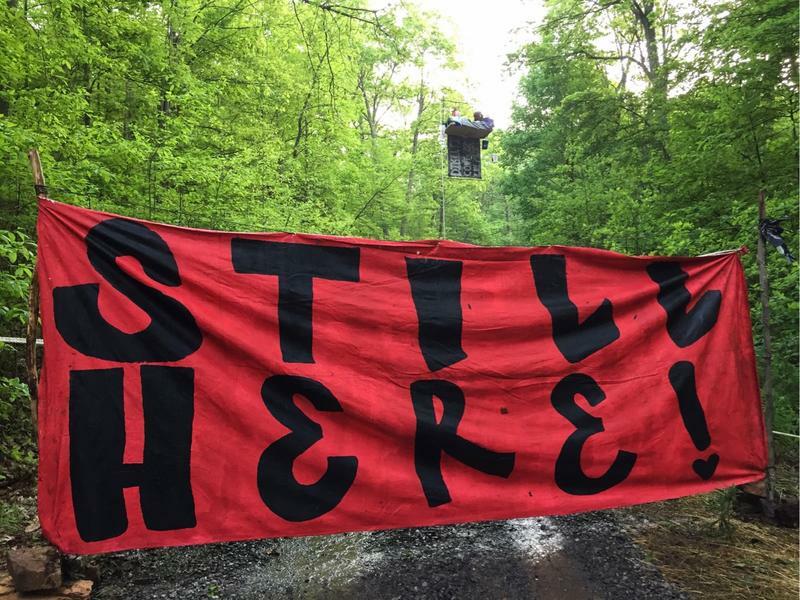 Friday’s actions end three months of aerial blockades in Virginia and West Virginia to protest construction of the Mountain Valley Pipeline. Authorities removed 30-year-old Catherine “Fern” McDougal Friday morning from an elevated platform in Giles County where she had been camped out since May 21. She was charged with four misdemeanors in federal court. A few hours later, a man known only as Deckard came down from a tree stand on Peters Mountain in West Virginia. That stand had been occupied since Feb. 26. Federal regulators released a draft of a final assessment of the environmental impacts of a proposed natural gas pipeline that would travel from West Virginia into and through Virginia. Federal Energy Regulatory Commission (FERC) assessors say if built, the Mountain Valley pipeline would have “significant” impacts on forests in West Virginia and Virginia. The assessment says the $3.4 billion proposed project would have "limited" adverse effects in the proposed pipeline's path elsewhere.